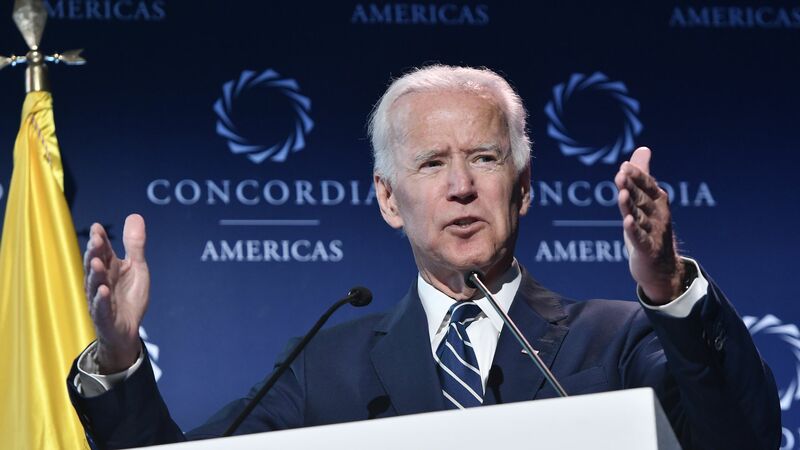 Former vice president of the United States Joe Biden speaks during the 2018 Concordia Americas Summit in Bogota, Colombia. Photo: Gabriel Aponte/Getty Images for Concordia Americas Summit. President Trump told CBS News' Jeff Glor that he dreams about running against Joe Biden in 2020, claiming that the former vice president "never got more than 1%" during his two election bids and that President Obama "took him out of the garbage heap." Why it matters: Biden has been floated as a Democratic contender for the 2020 party nomination, and will reportedly make a decision on whether he'll run by January. The former VP has not hesitated to directly criticize Trump, in one instance going as far as to say he would "beat the hell out of him" if they were in high school together.